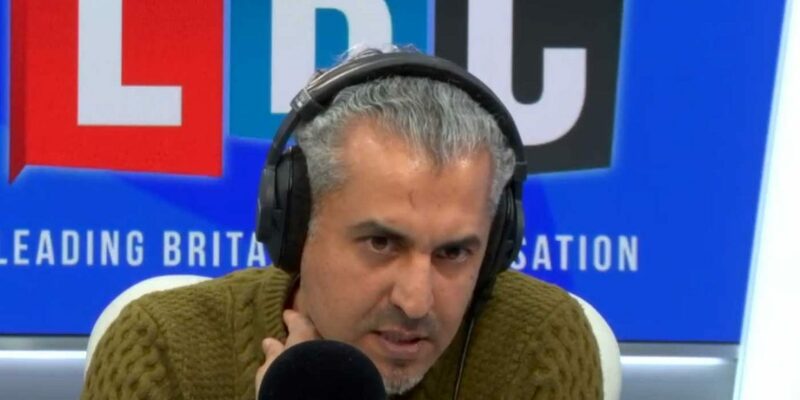 The LBC presenter, Maajid Nawaz, has been taking on anti-Semitism within Labour during his show on LBC radio. Shockingly, whilst live on air, the studio received a death threat saying how Nawaz would be killed. Maajid said he decided to share the message with listeners to highlight the fear some in the Jewish community feel amid a rise in anti-Semitic hate crimes. Maajid then explained that over the past ten-years anti-Semitic hate crimes have been rising each year in Britain and even worse in France. “I’m not going to let such intimidation scare me, I’ve been through much worst than that,” he said, before explaining his time in Egyptian prisons is worse than the “keyboard warrior”, referring to the death threat writer, “could ever imagine”.